I knew that something had to be done, so I started Angela’s regime, Project Glow. My skin was breaking out, and I had red blotchy patches all over. It was oily in some places, and dry in others. My pores always seemed to look large and filled with dirt. 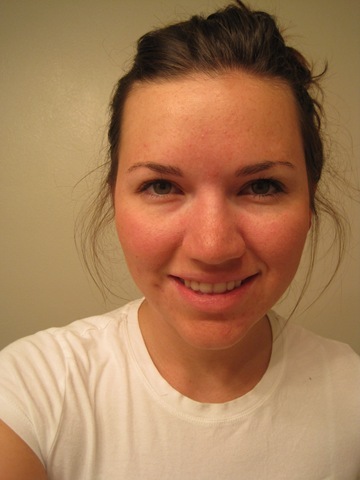 I took this picture the night before I started Project Glow, and had no makeup, and just washed my face. WOW! My skin has completely improved! The blotchy patches have almost disappeared, and so have all the blackheads. 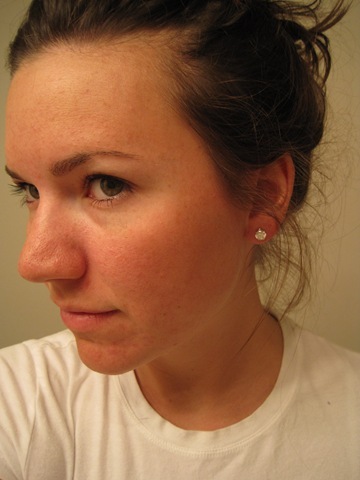 I did not develop any new pimples, and most of the old ones disappeared in the first two weeks of Project Glow. I took both of these photos (wearing no makeup) right before a FULL day of school… think THREE exams. Even with all that stress, my skin looks so much better. After starting Project Glow, I also used a Benzoyl Peroxide 2.5% Acne Treatment every few days on the already existing problem areas. That seemed to dry my face out ALOT, so I only used it in small areas. Then, I would wait for it to dry, and use the facial moisturizer on top of it. Another big change was that I pretty much stopped wearing makeup. I used to wear it everyday, and I only wore mascara for the most part (with a few exceptions, for going out). I wanted to let my skin “breathe”. The good part, is now that my face has cleared, I don’t really “need” the make-up like I did before. Success! Project Glow worked for me. Did you try Project Glow? How did it work for you? I took the day off work to study for my three exams (yikes!) scheduled for tomorrow. 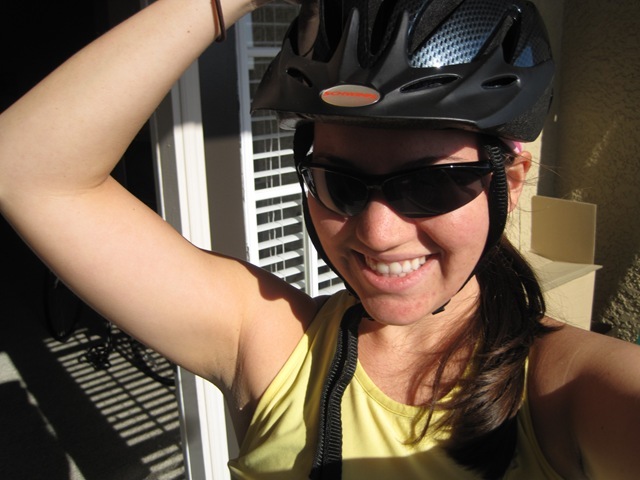 I decided to take a break around 9:30am (I had been studying since 6:00am…) to bike ride with Caitlin! Caitlin rode to my apartment to pick me up, and from there we biked another 15.0 miles. Even with the wind, we managed to complete it in under an hour. I am in serious need of some longer rides! Last night, Caitlin and I were discussing bike races. I really want to have something to work for, and I’m probably not going to be in good enough running shape to do any epic run anytime soon. A bike race is the perfect solution! I am planning on riding in the Breakaway to Sugarloaf Metric Century (100 km = 62 miles) on April 18. I’m not sure if I can be ready to ride 62 miles in three weeks considering the most I have done in the last couple of months is 20 miles. If I don’t feel ready, I will drop to the 50km ride, but I think I can do it! 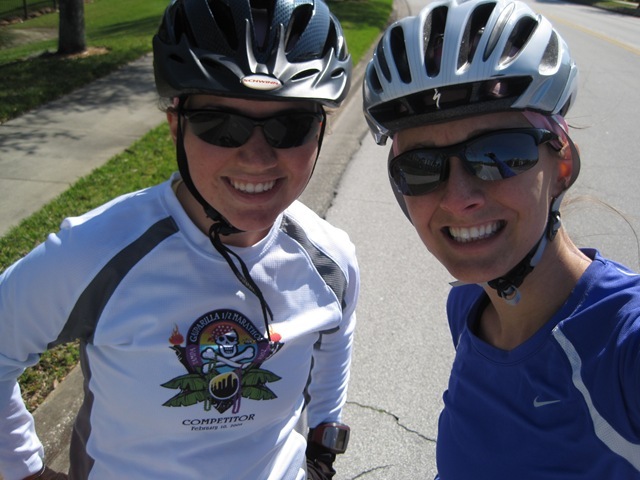 Back in August, Kelly and I did 50.0 miles on a whim. 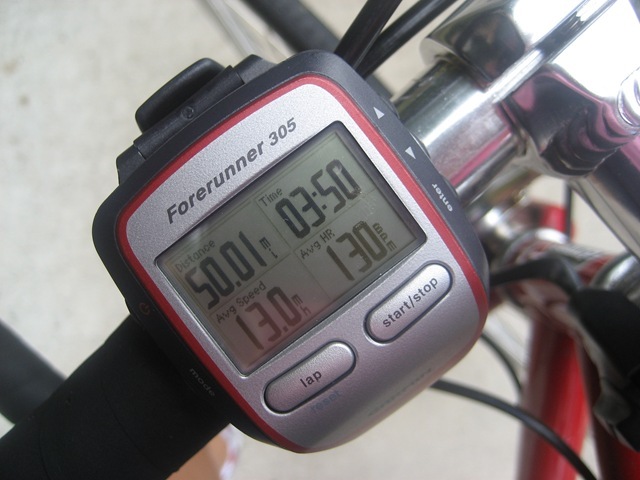 Even though it was tough, I think with a couple of longer rides, I could easily complete the distance. On Saturday night, Ashley brought over some Bondi Band samples for everyone to try. 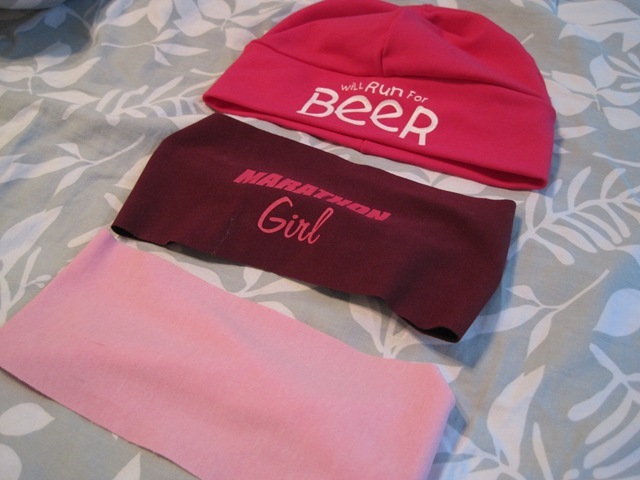 I picked three: two headbands and one hat. I loved the way the fit and keep my hair out of my face. I usually pin my fly-away hairs back, but I feel like it’s probably a bad idea to put metal pins under my helmet… I just see that going terribly wrong. 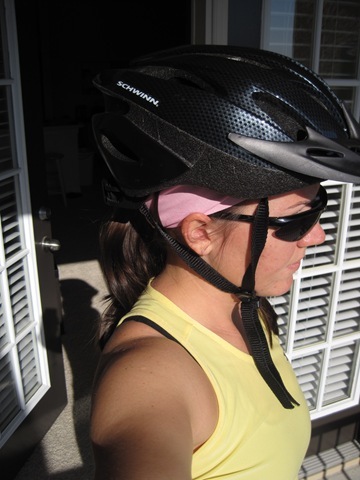 While biking, my hair usually gets all messed up and falls into my eyes. It’s quite annoying, so I decided to try it out under my helmet. It fit perfectly, and worked like a charm! It got pretty sweaty, but they can be machine washed. Once I got back, I was pretty hungry for some lunch. 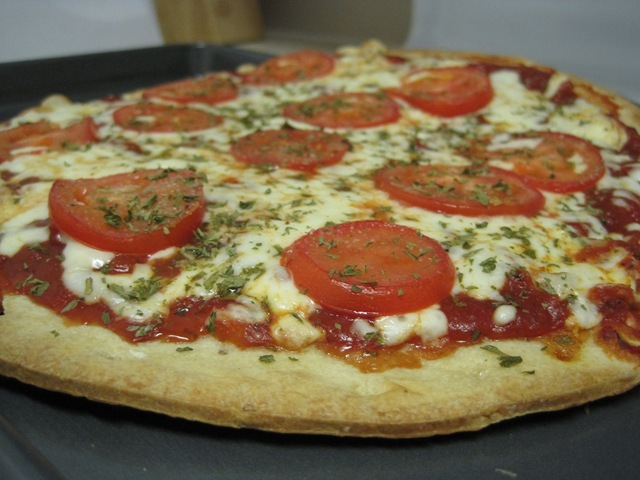 I decided to make a semi-homemade pizza. It is SO much cheaper (and yummier!) 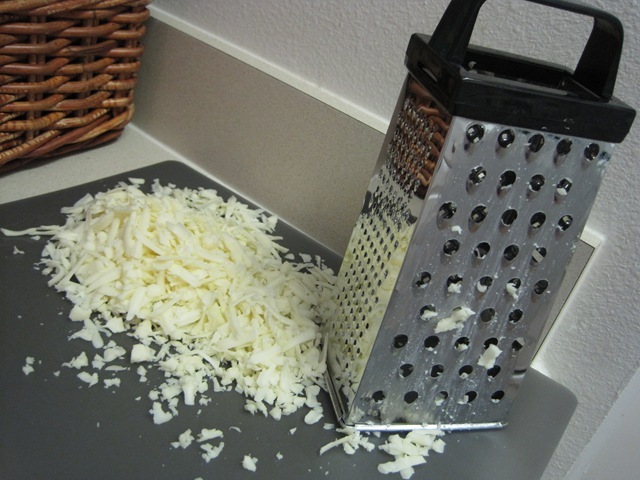 to buy a block of cheese and grate it yourself! Off to study and find some dinner! Have you done a bike race before? How do they compare to running road races? 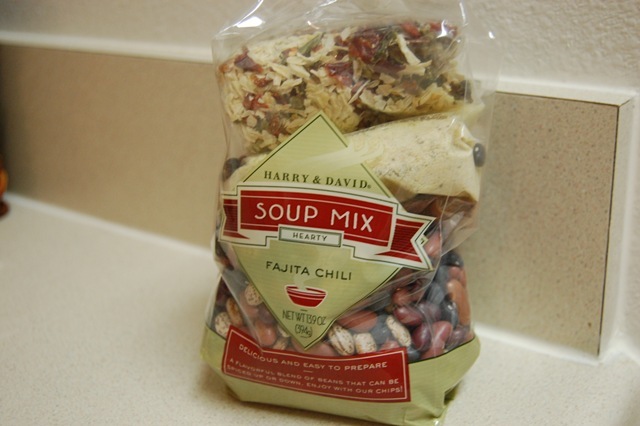 Every since I got this Harry and David’s Fajita Chili soup mix for my birthday, I have been dying to try it! 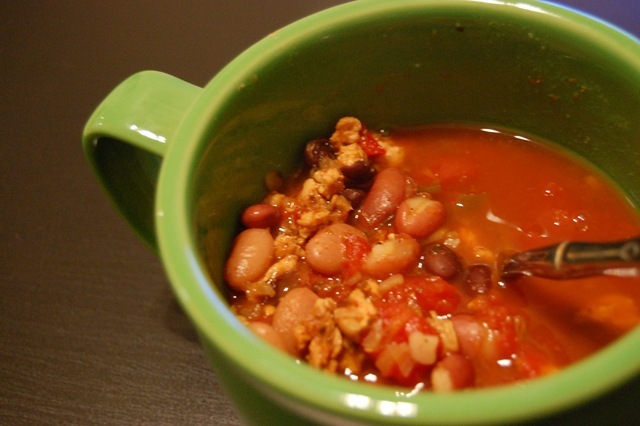 We had a little cold front go through yesterday, and it was finally cold enough to justify chili making. Everything you need to make the chilli other than water, meat, and a can of diced tomatoes was already in the bag. 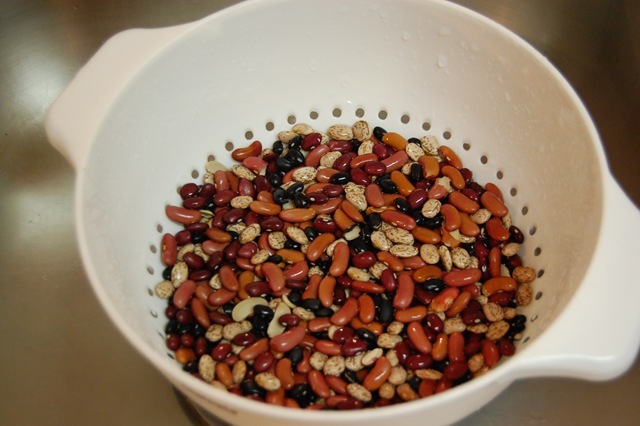 The first step was to rinse the beans, bring to a boil, and let them simmer for an hour. I have never made beans before, I always buy them pre-cooked in a can. It was SO easy! Next, I used 1/2 lb of lean ground turkey breast (instead of ground beef that the bag called for) and dumped the vegetables and spices in. Once that was done, I combined the meat, tomatoes, 4 cups of water, and the beans into the pot. I let that simmer for another half an hour or so. 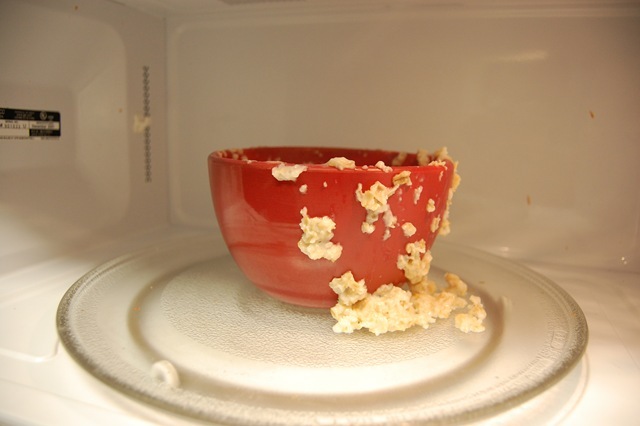 Once it was done, I served myself some in a mug. It’s more fun to eat out of than a bowl. It made about 8 cups of soup! I can’t wait for leftovers. It had a great flavor. It had a little bit of a kick to it, but nothing crazy. I had some cheese and crackers along with it to fill me up. I love making homemade soups (or even semi-homemade). It tastes SO much better than eating it out of the can, even though I do that often. 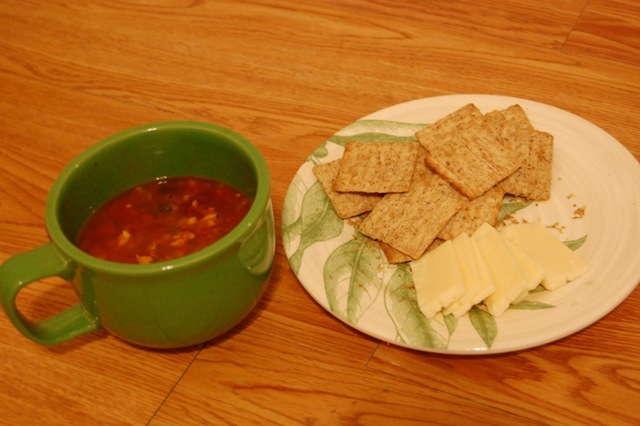 What is your favorite soup recipe? 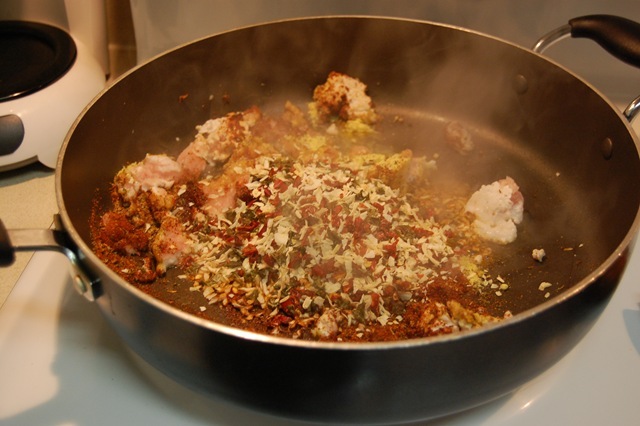 I want to try to make Italian Wedding soup soon! Sorry I was MIA yesterday, things were hectic from the minute I woke up to the minute I got on the (delayed) plane. I got back to Orlando around midnight and crashed. I slept in this morning which felt great! I wanted to get a good run in, since I’ve only run twice in the past week, one 22.0 mile long run, and on 4.0 icy/snowy run. 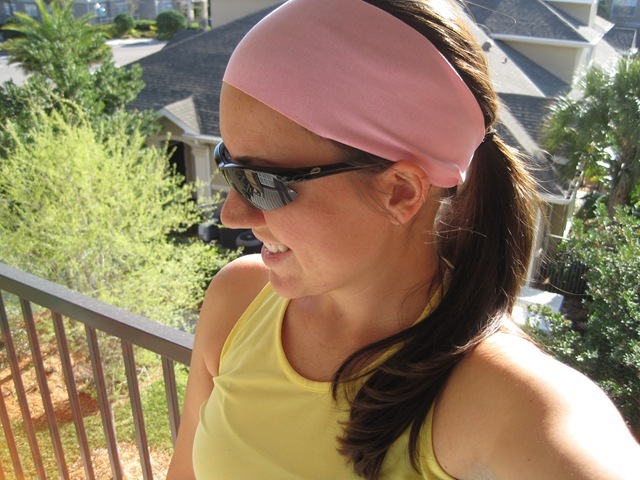 My mom bought me an amphipod running belt for Christmas, and I couldn’t wait to try it out! I really liked that it didn’t ride up when I ran. It also did not bounce, because everything was spread out and close to my body. The size is adjustable, but I had to make it as tight as possible, which might be a problem if you are smaller than me. 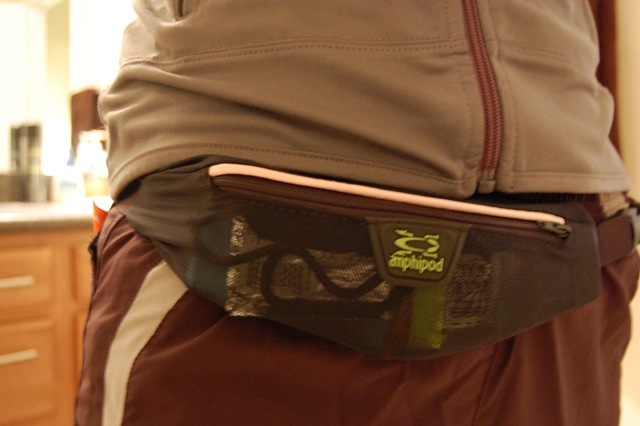 It’s a bit larger than a spibelt (lengthwise) and expands to fit a whole bunch of stuff in it. 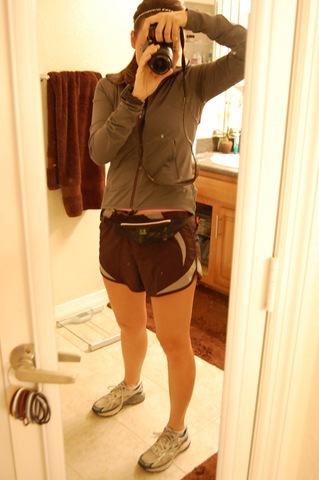 I fit all of this running gear in the belt. 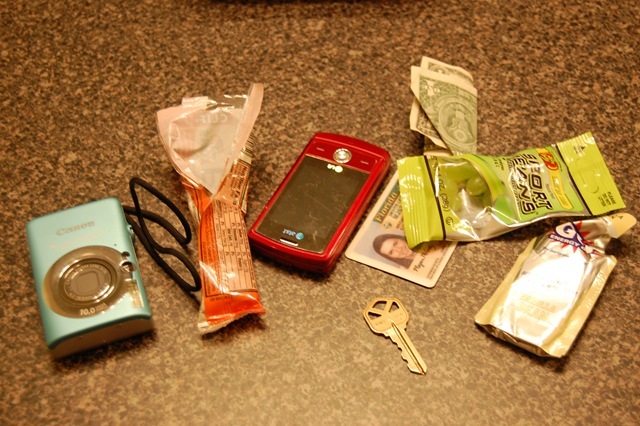 I brought all this along just to test it out. I tried to eat the oats, but the texture was just too funky. 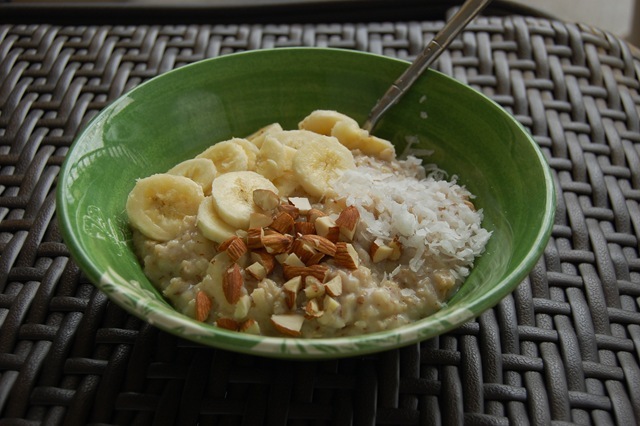 I remade my oats and it was well worth the wait! I have some last minute Christmas shopping to get done today! I can’t believe Christmas is only 3 days away!! !